Cancer is a common occurrence in multi-cellular organisms and is not strictly limited to the elderly in a population. It is therefore possible that individuals with genotypes that protect against early onset cancers have a selective advantage. 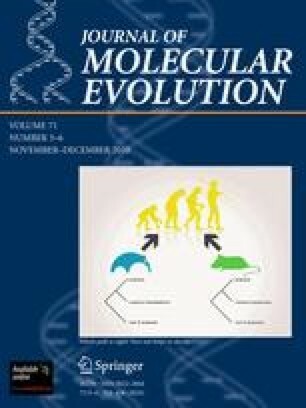 In this study the patterns of mutation in the proteins of a well-studied DNA damage response pathway have been examined for evidence of adaptive evolutionary change. Using a maximum likelihood framework and the mammalian species phylogeny, together with codon models of evolution, selective pressure variation across the interacting network of proteins has been detected. The presence of signatures of adaptive evolution in BRCA1 and BRCA2 has already been documented but the effect on the entire network of interacting proteins in this damage response pathway has, until now, been unknown. Positive selection is evident throughout the network with a total of 11 proteins out of 15 examined displaying patterns of substitution characteristic of positive selection. It is also shown here that modern human populations display evidence of an ongoing selective sweep in 9 of these DNA damage repair proteins. The results presented here provide the community with new residues that may be relevant to cancer susceptibility while also highlighting those proteins where human and mouse have undergone lineage-specific functional shift. An understanding of this damage response pathway from an evolutionary perspective will undoubtedly contribute to future cancer treatment approaches. The online version of this article (doi: 10.1007/s00239-010-9399-y) contains supplementary material, which is available to authorized users. I would like to thank Dr. James O. McInerney at NUIM for helpful comments on an early draft of this manuscript and for computation time. ICHEC (Irish Centre for High End Computing) for granting a user license to complete this work, and the OVPR (Office for the Vice President for Research) at DCU for part funding this research through the career start award. I would like to thank Mr Stanley Nolan, Dr James Murphy, Dr Paul McGettigan, and Ms Eithne Smith for preliminary analyses. Dr Mary J. O’Connell is funded by Science Foundation Ireland, RFP award EOB2673.